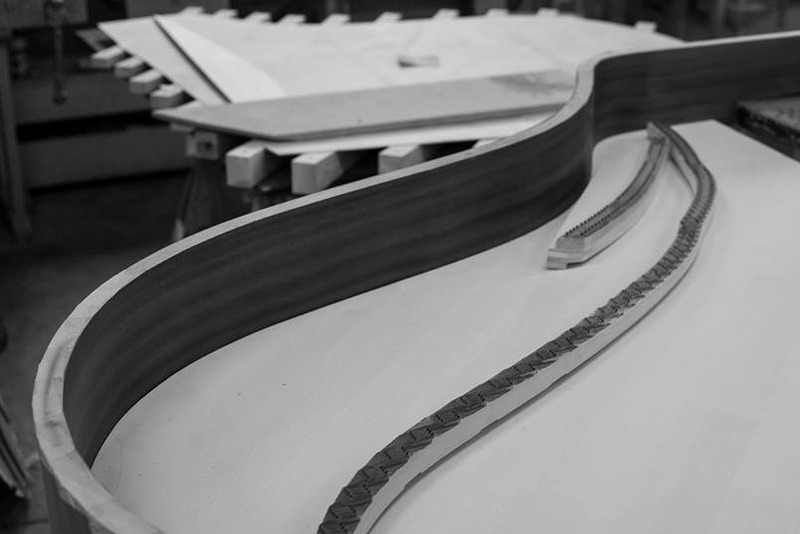 Having a direct influence on acoustic properties and tone of the instrument, the soundboard is considered as the heart of every piano. 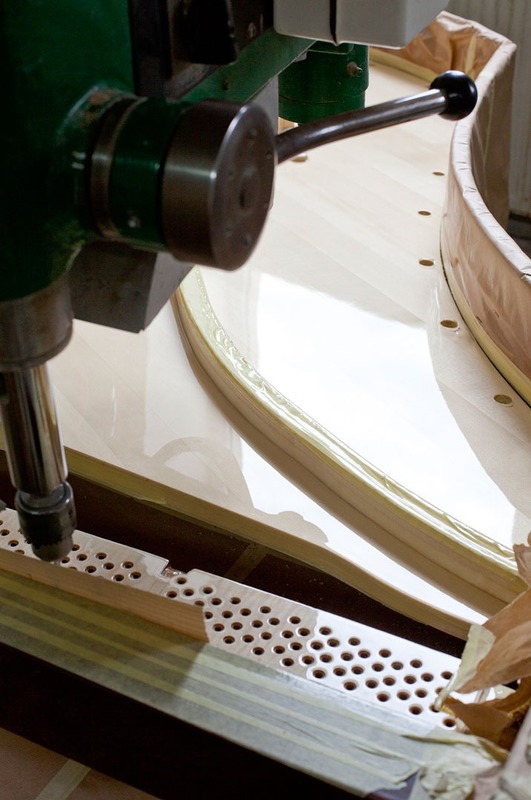 Based on condition of the existing soundboard or customer’s preferences, the soundboard may be either carefully restored or replace. 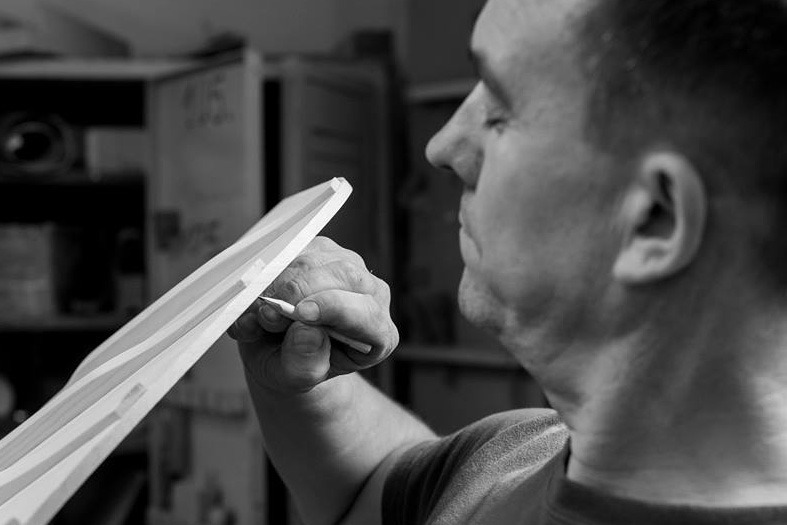 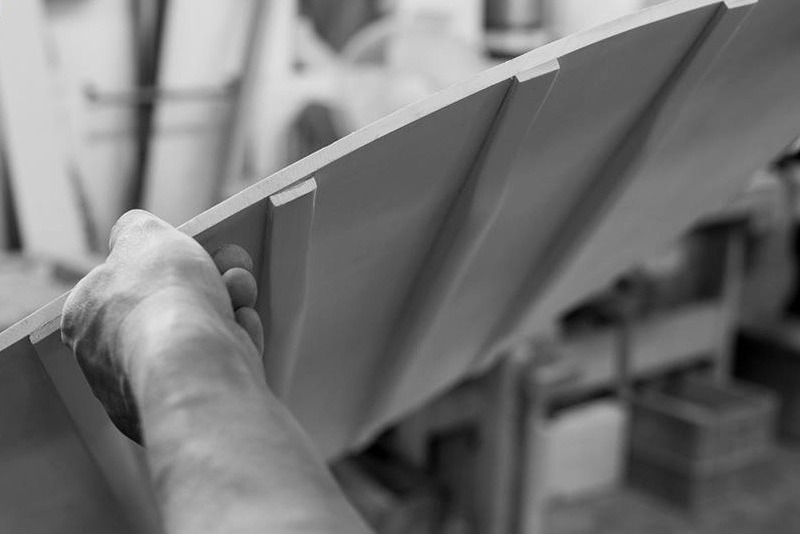 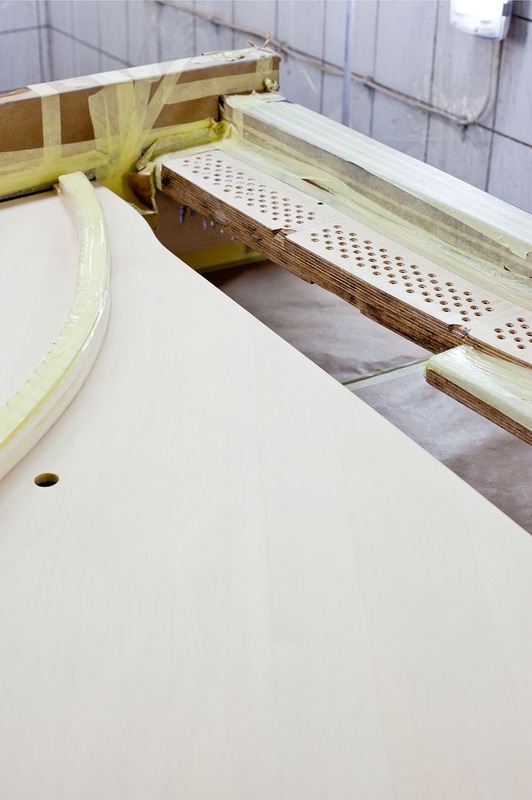 SAP Renovation is able to supply soundboards of leading manufacturers from Germany and Italy. 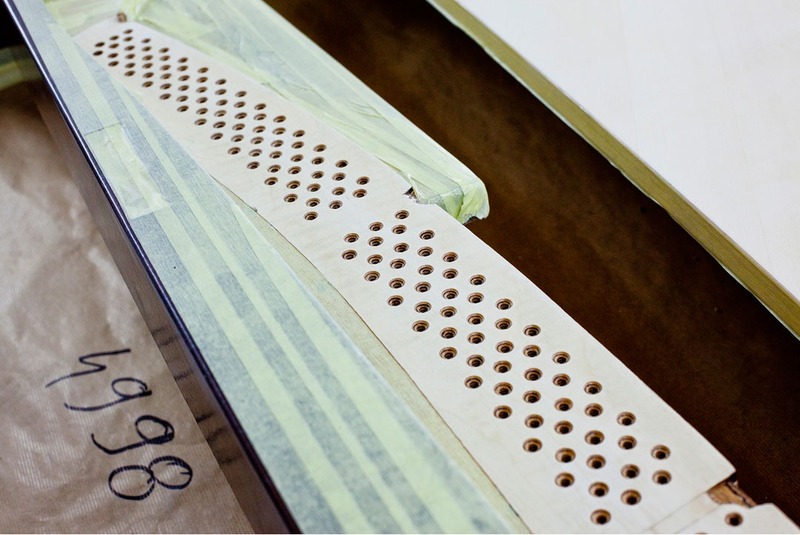 A complex process of drying and shimming recovers original sound properties of the wood while varnishing and application of new decal supplement cosmetic aspect of the soundboard. 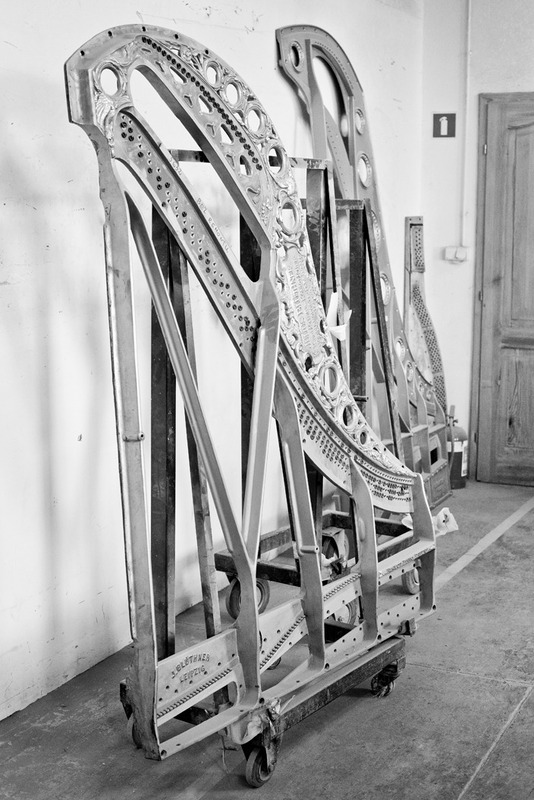 When condition of original soundboard is heavily compromised and does not apply for restoration, replacing it with new top quality soundboard of German Strunz or Italian Ciresa is possible. 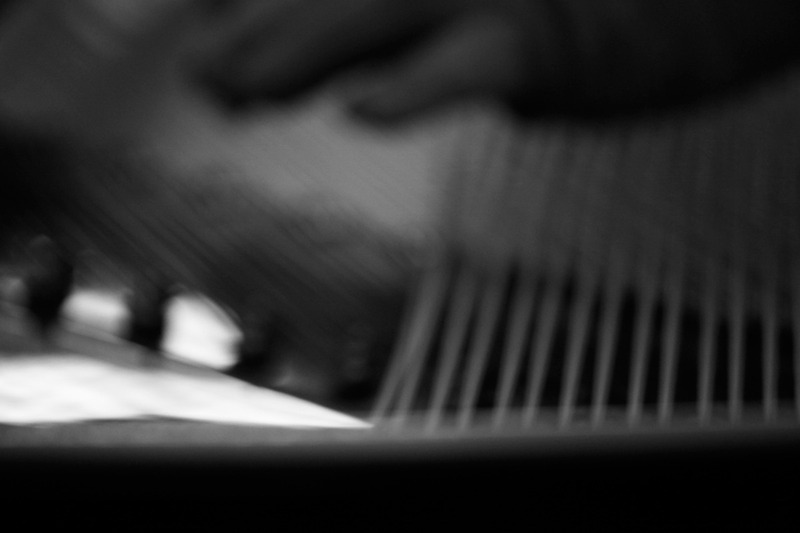 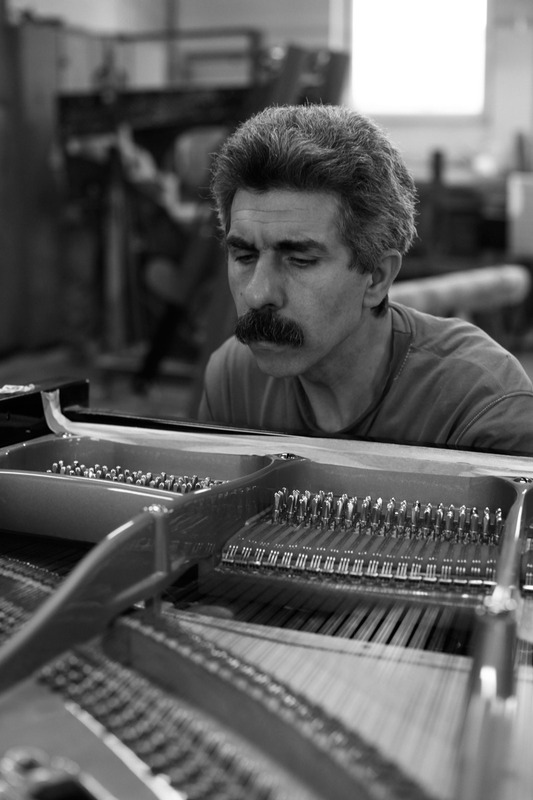 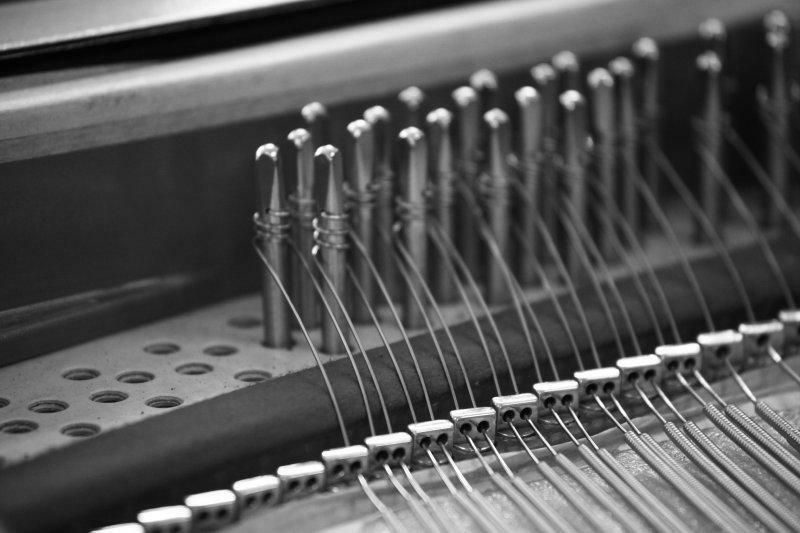 Piano bridges are responsible for transferring the sound from strings to the soundboard and their condition is crucial to maintain sound integrity. 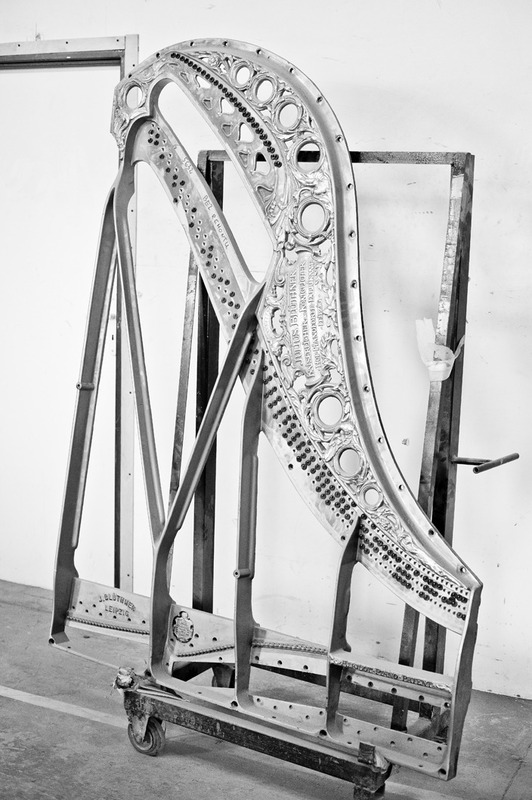 Based on the level of exploitation, bridge caps may be either restored or replaced. 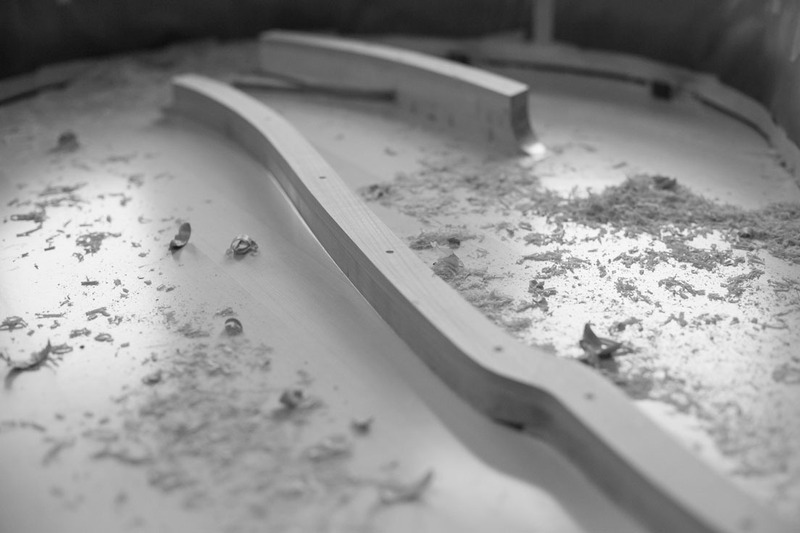 New caps are installed and chiseled by hand to match the original shape. 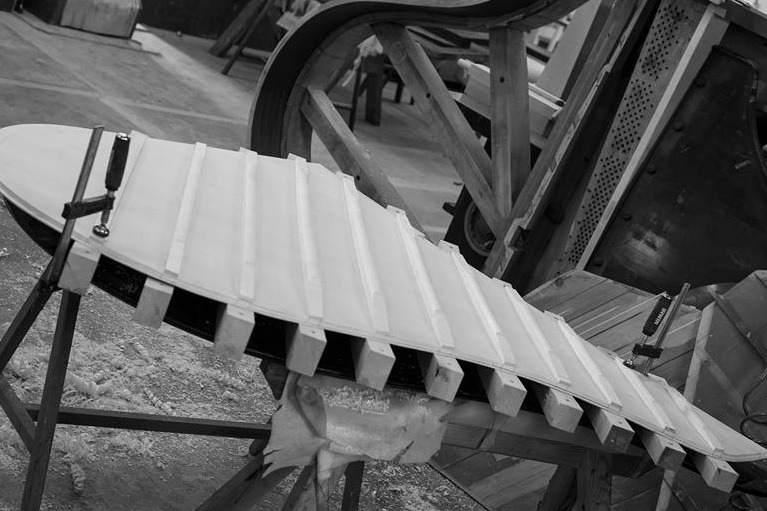 Provided their integrity is not compromised, bridge caps may undergo only simple cosmetic improvements. 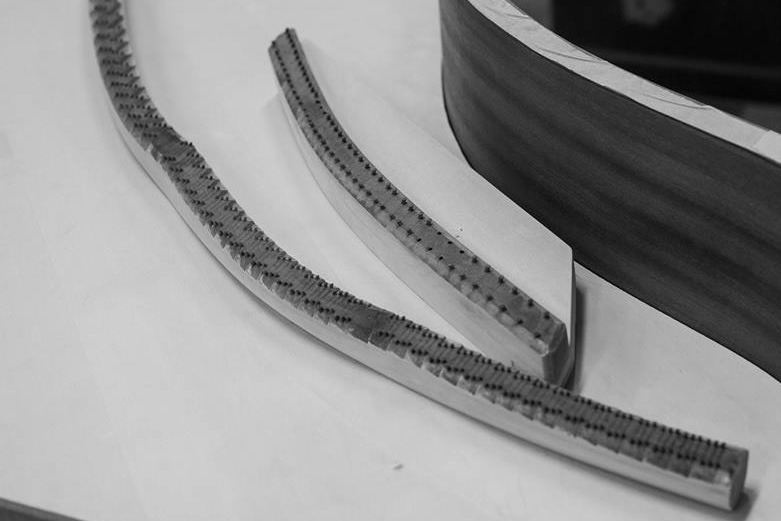 If overall bridge cap condition no longer meets technical requirements, new caps are installed and chiseled by hand to match the original shape. 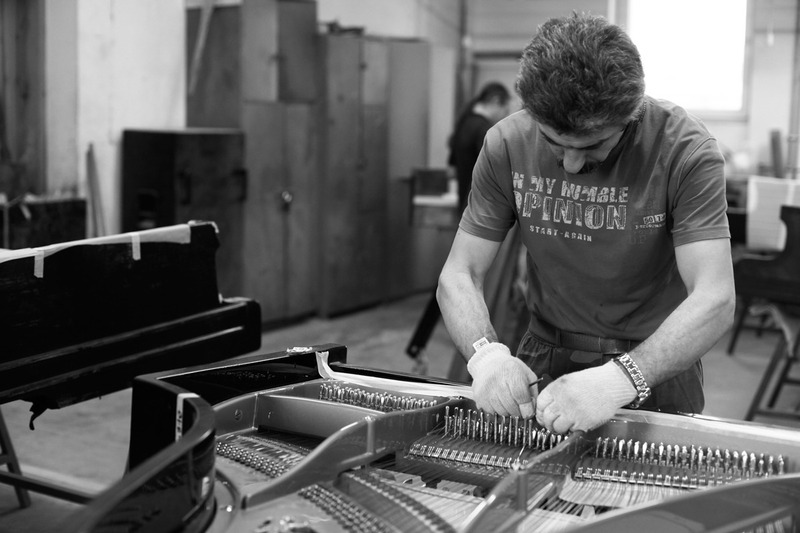 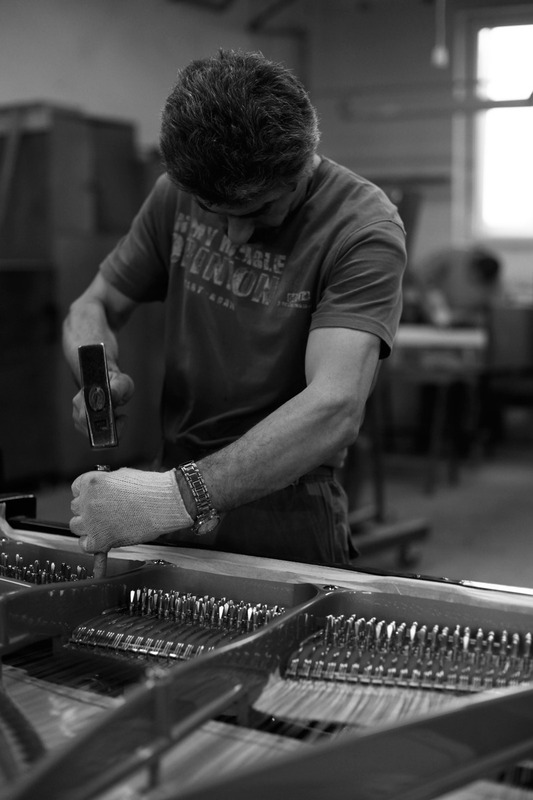 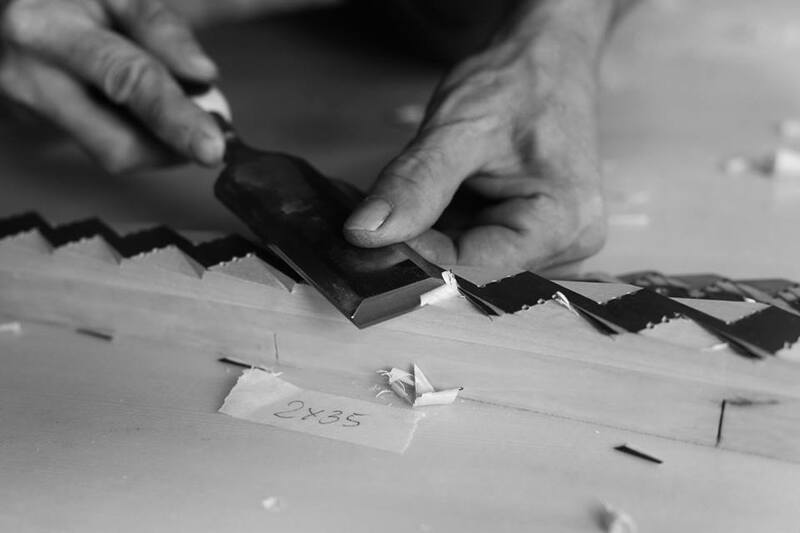 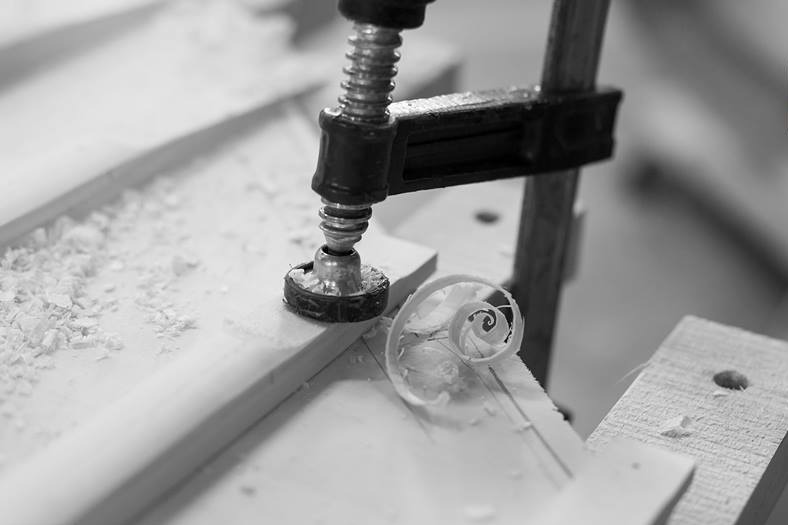 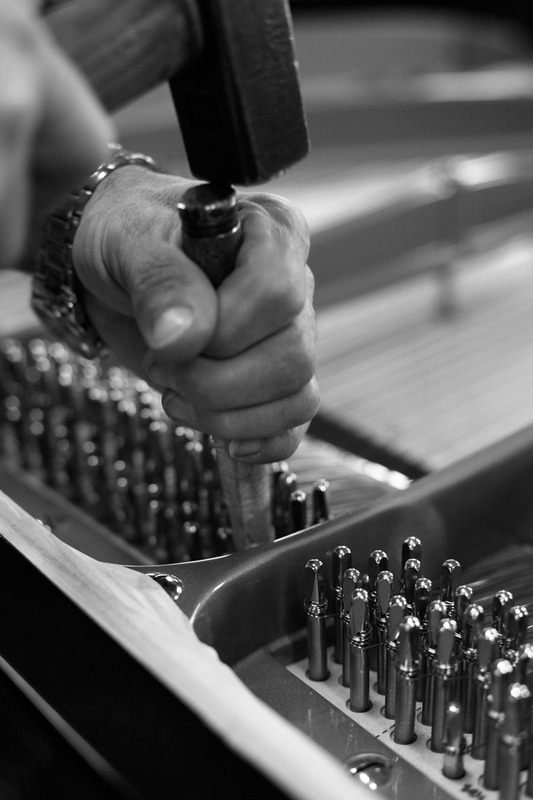 The main function of pin block is to maintain tuning stability, thus, its well-being is crucial while assessing piano’s condition prior to restoration. 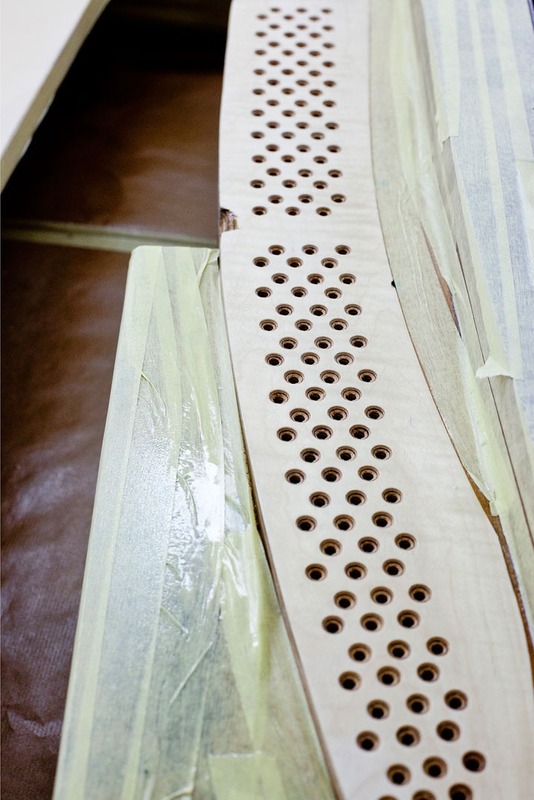 If pin block condition allows using wider tuning pins our technicians will only improve cosmetics of the plank. 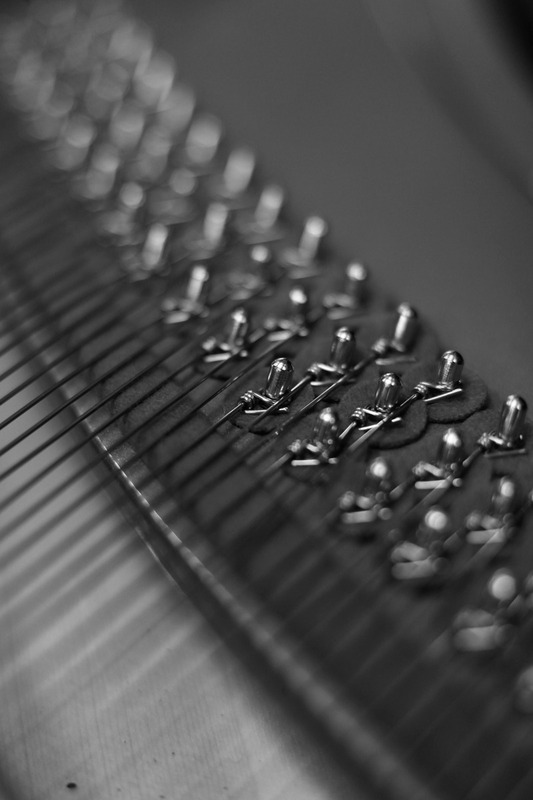 Should condition of the pin block disqualify it from further use, we can supply one of three types of brand new plank. 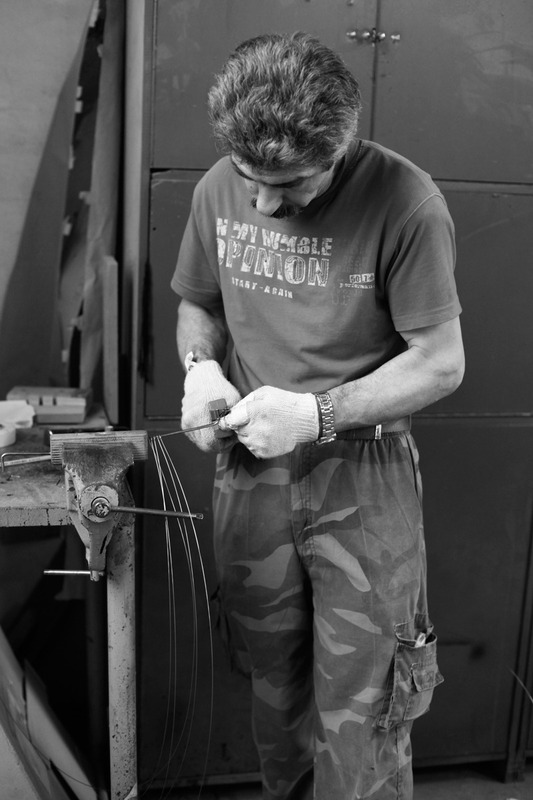 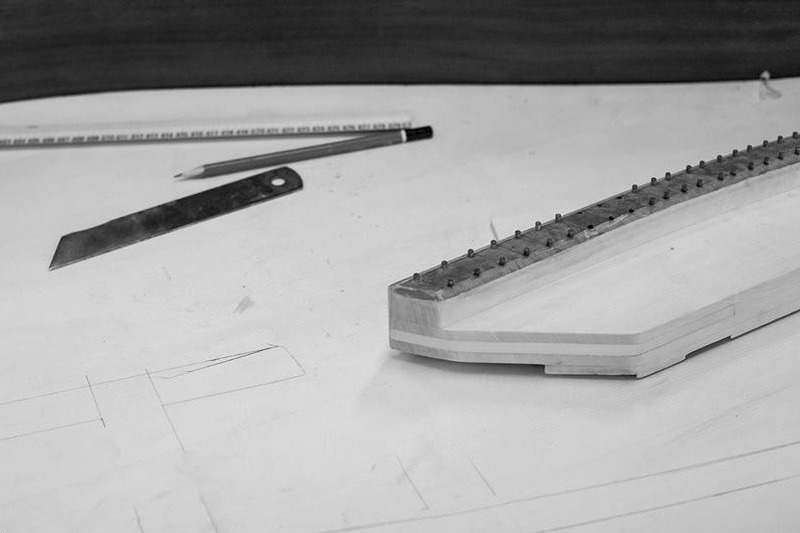 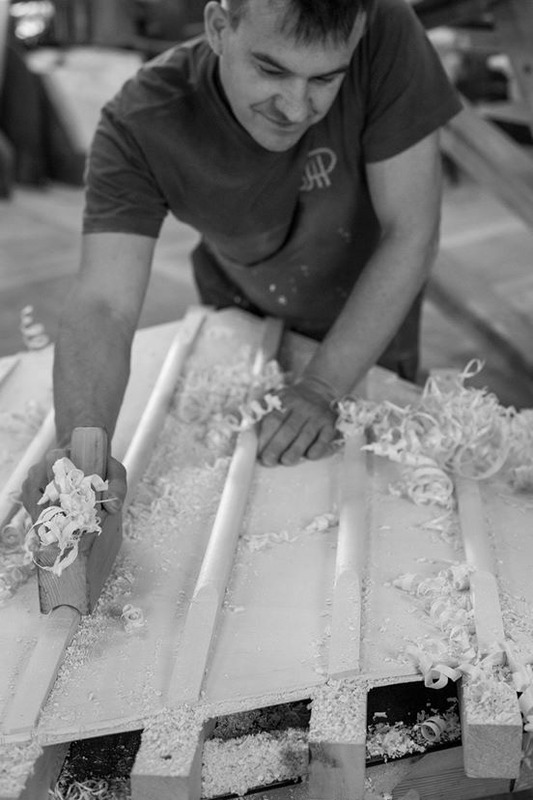 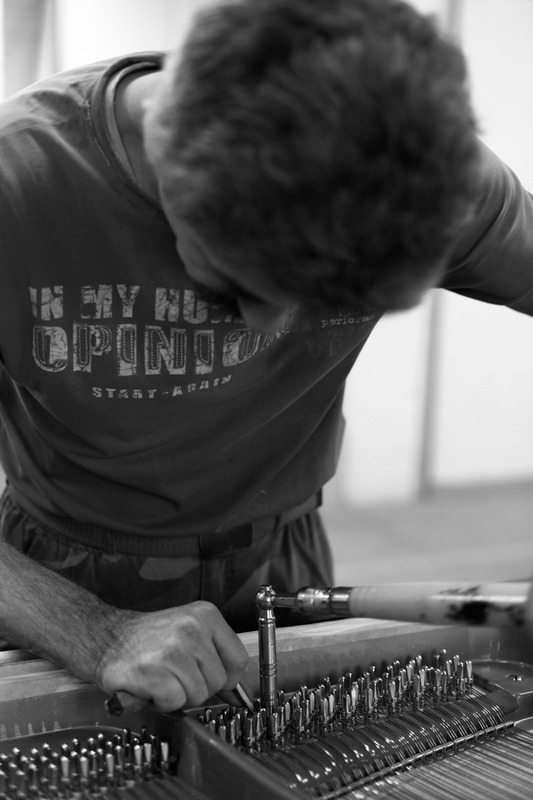 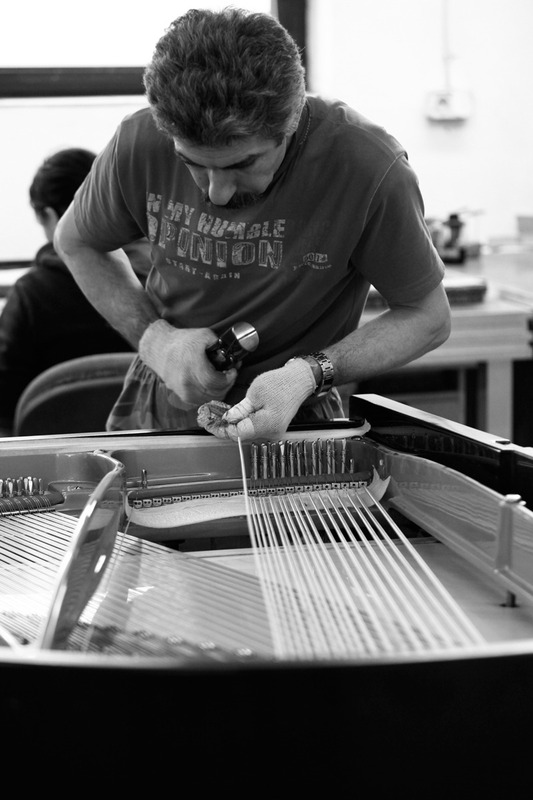 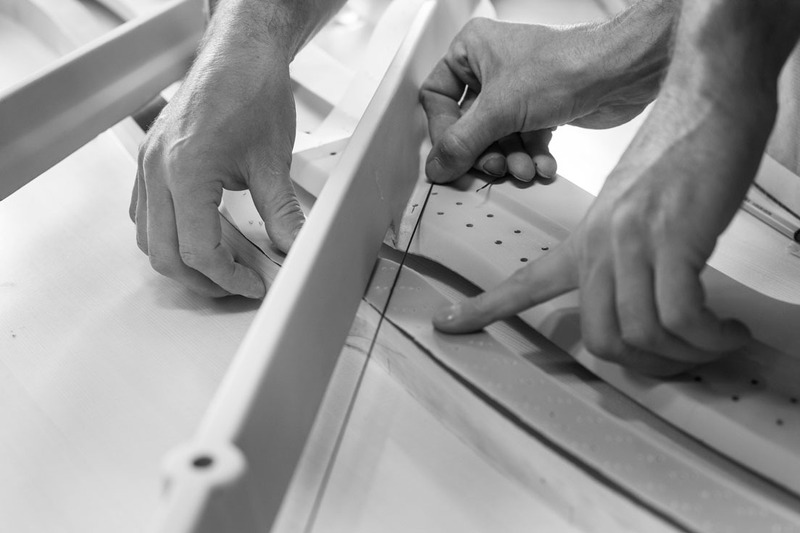 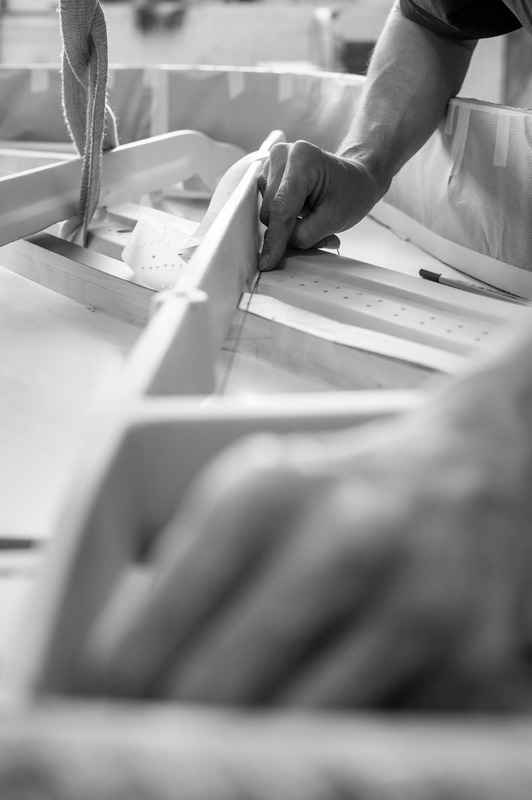 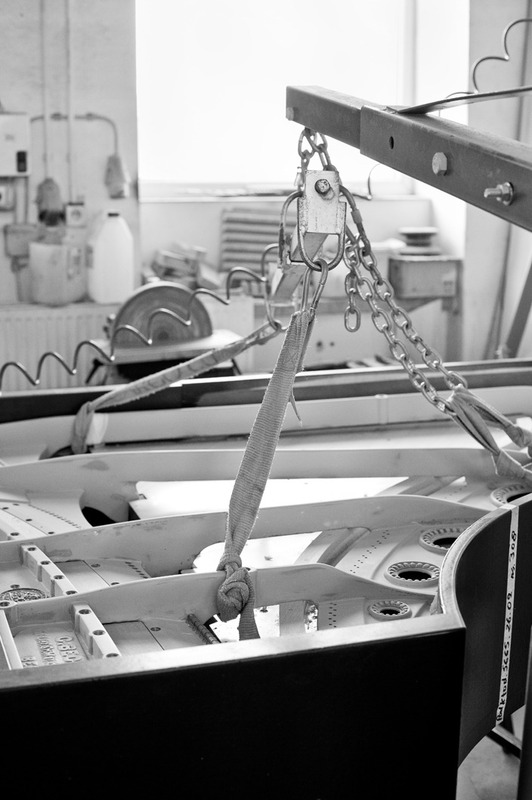 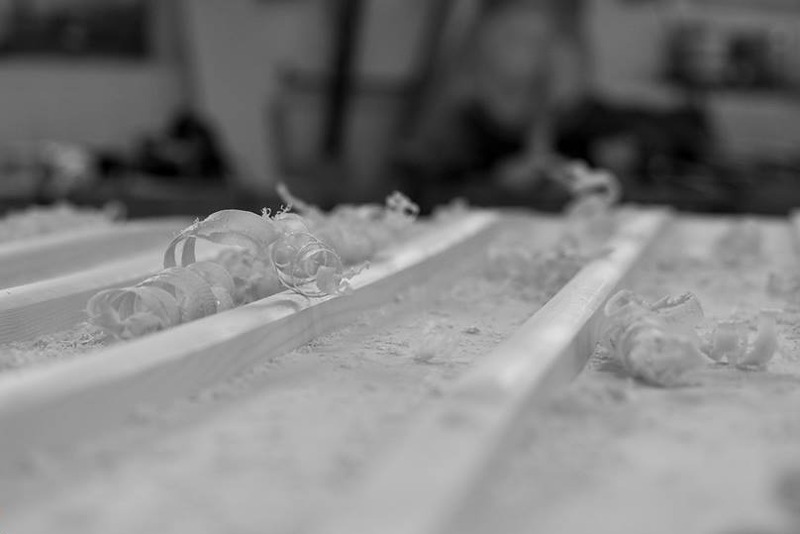 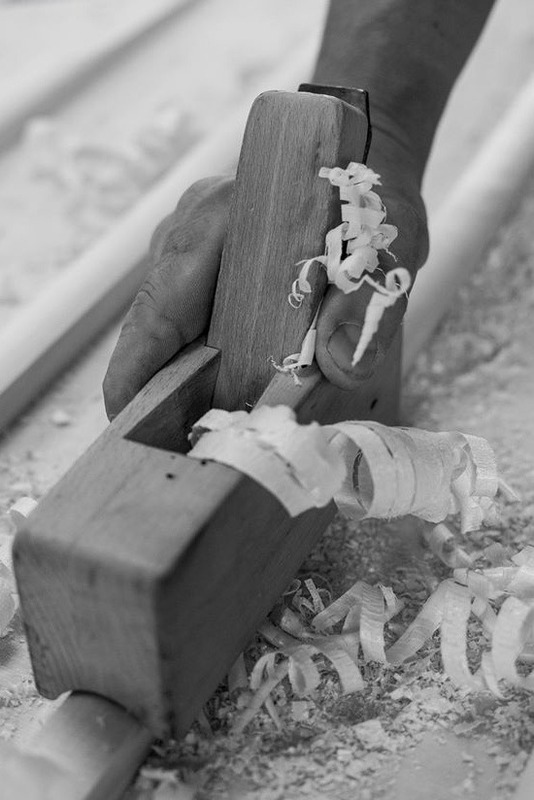 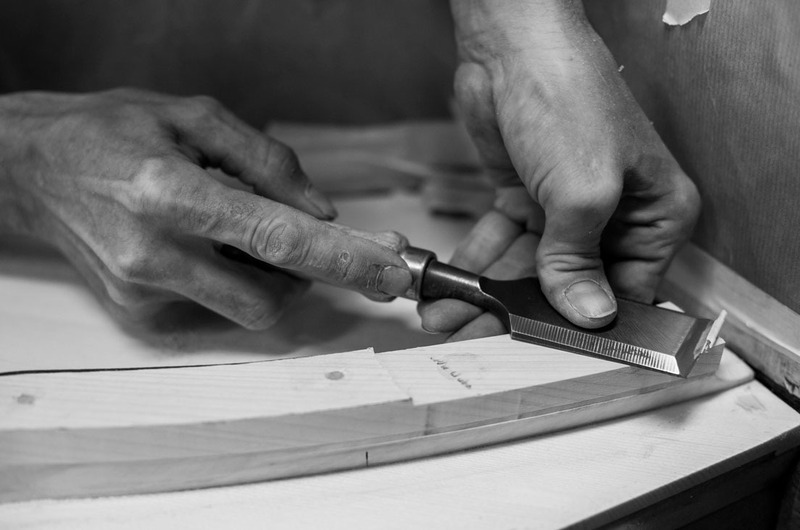 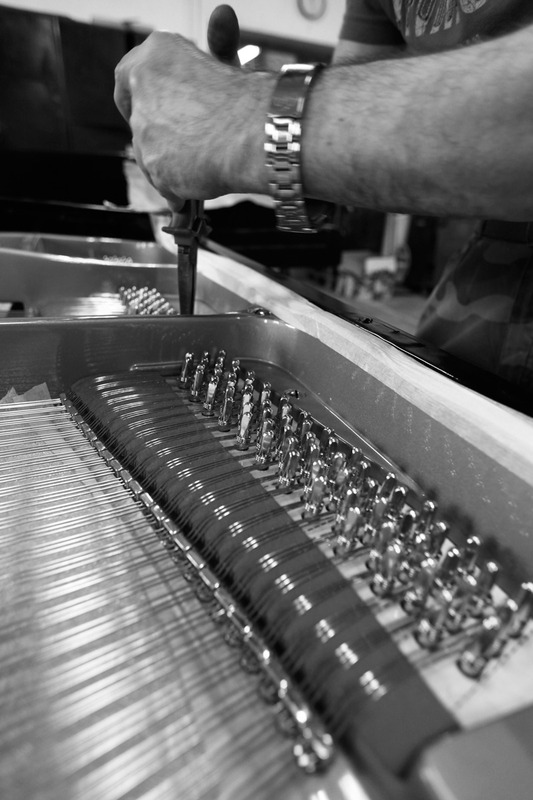 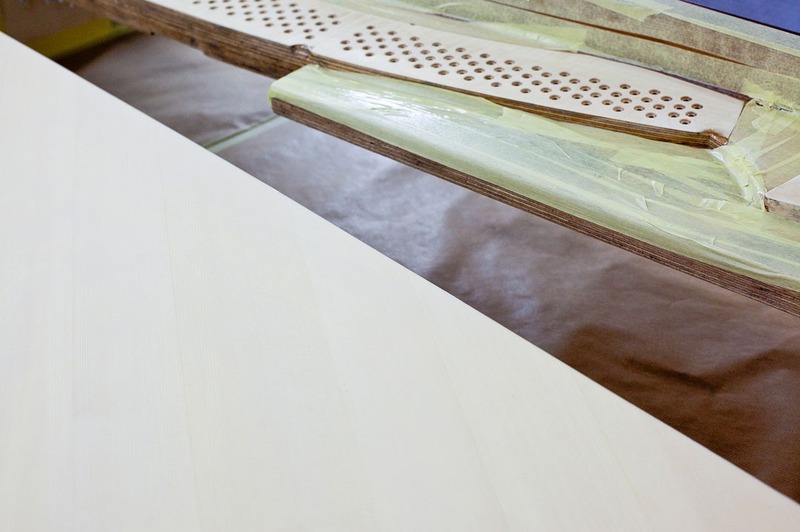 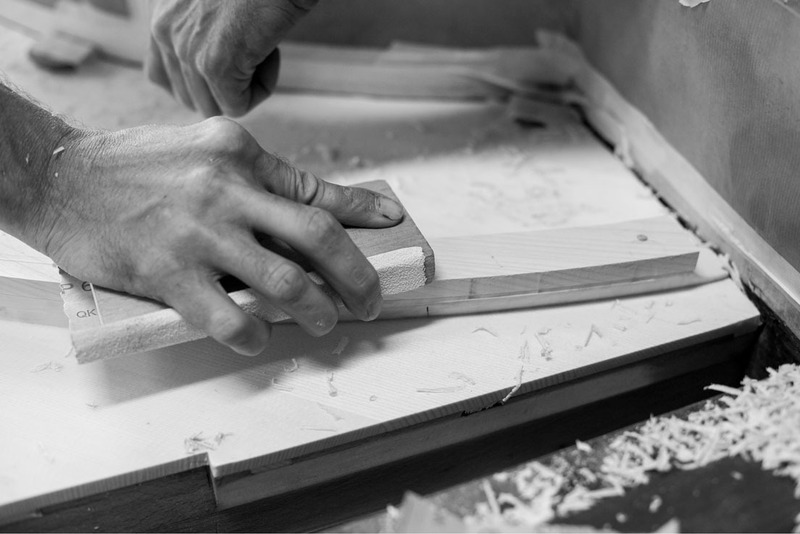 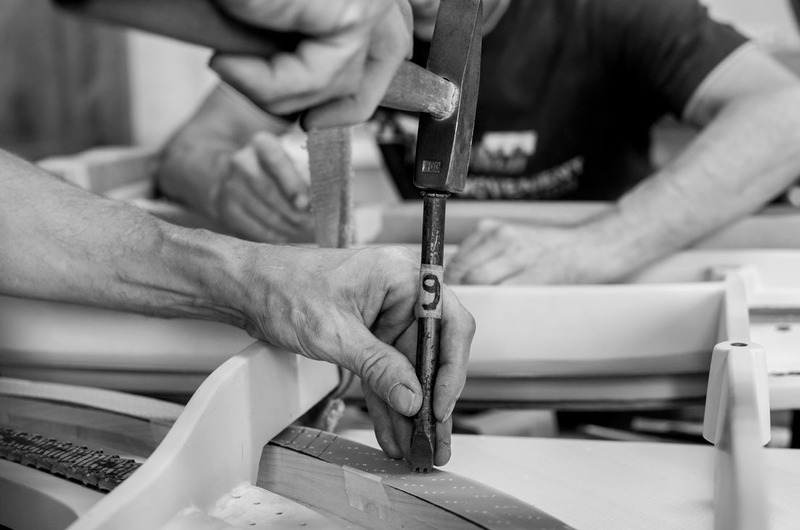 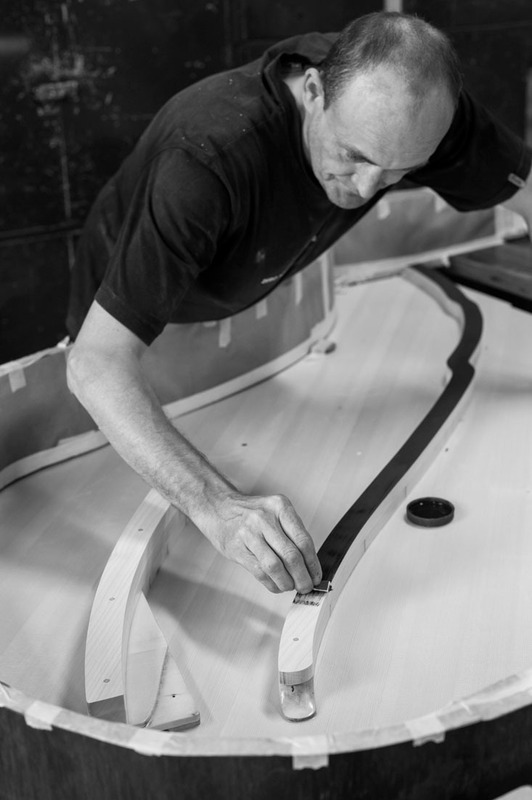 While soundboard is considered the heart of every piano, the frame serves as its skeleton. 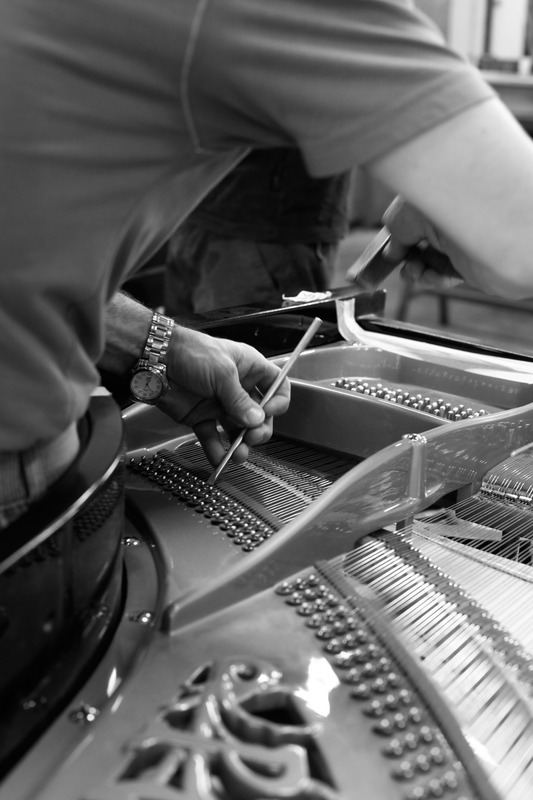 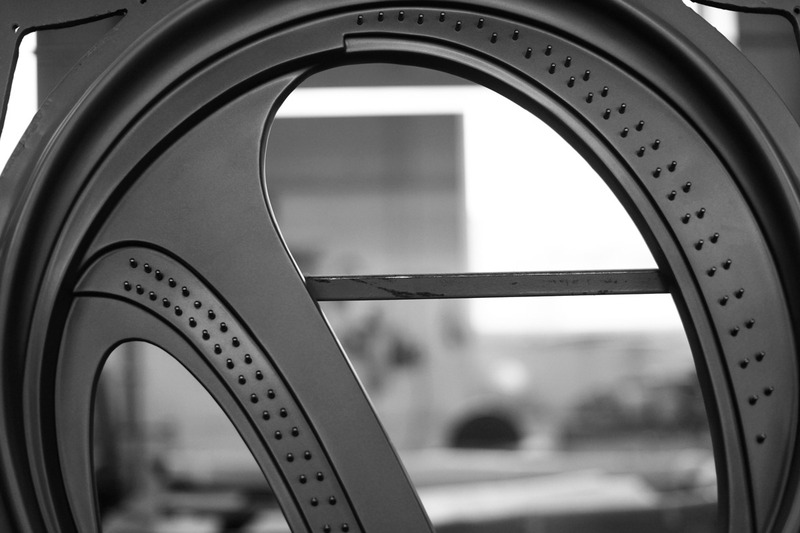 Cast iron in the piano has to resist the string pressure of up to 30 tons; hence, it is crucial to take care of frame’s wellbeing. 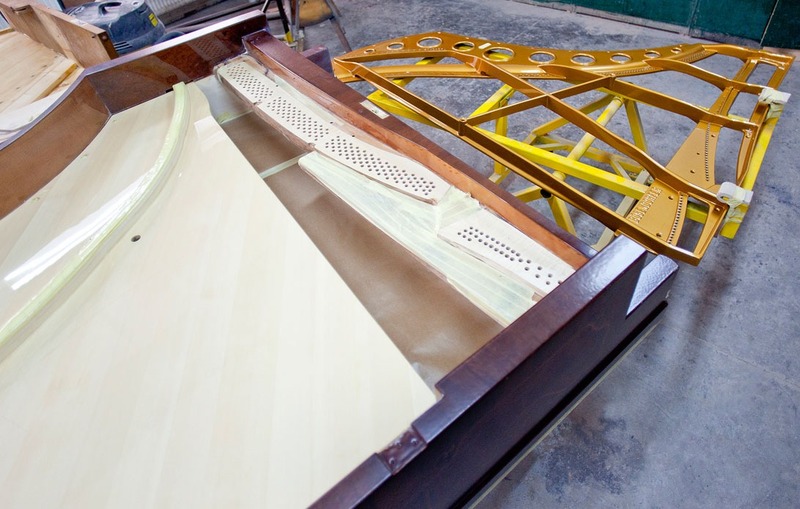 Additionally, fine sanded iron varnished in highest quality lacquers will highlight piano’s beauty even more. 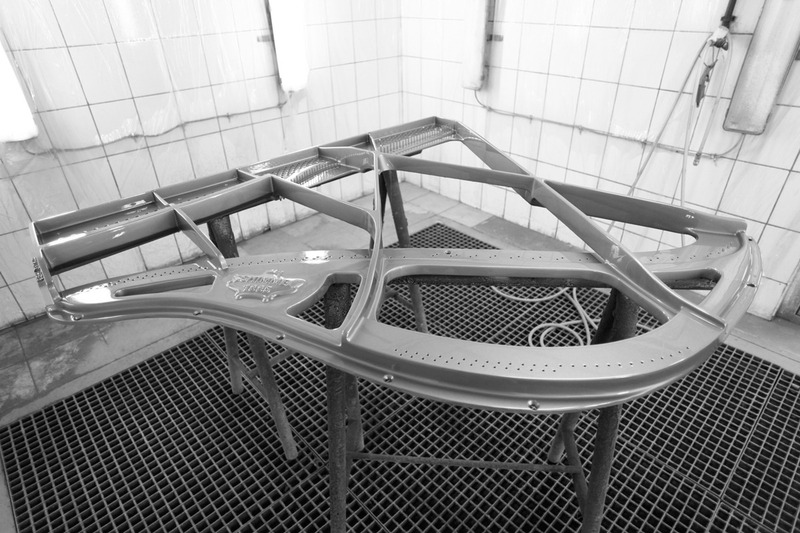 Basic frame restoration focuses on regaining its cosmetic aspect by painting and its functionality by replacing hitch pins. 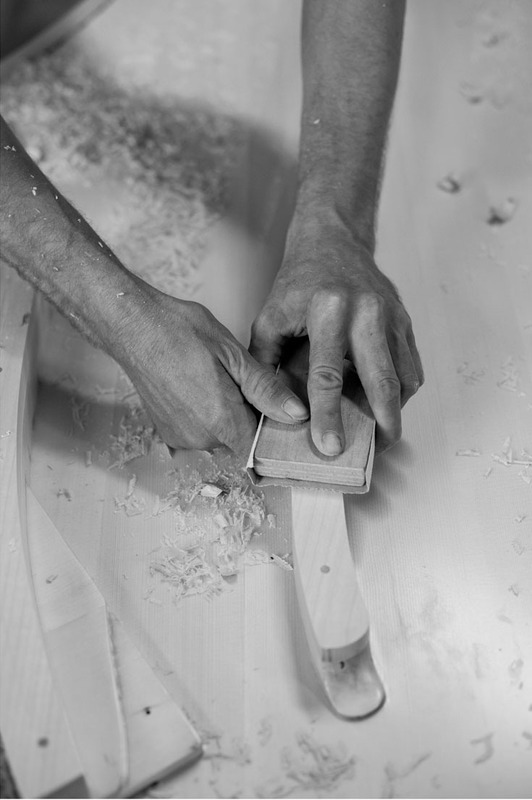 Any cracks in the frame heavily compromise safety and performance and have to be dealt with immediately. 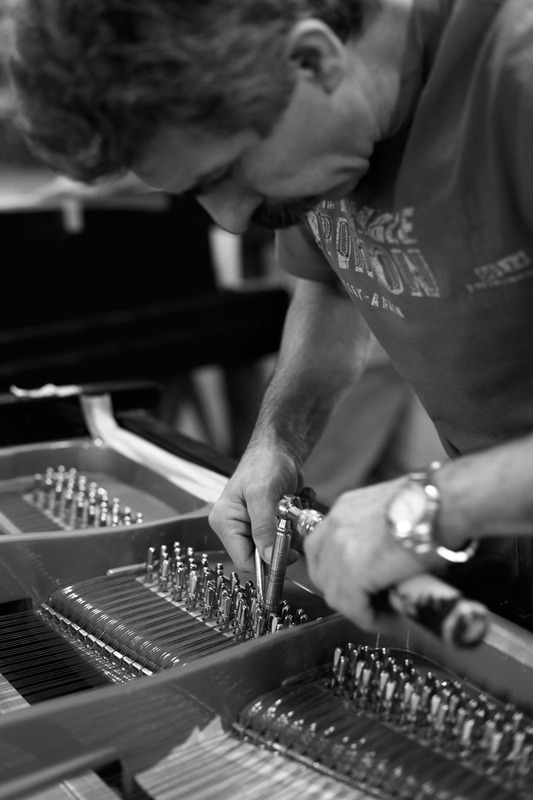 Our technicians achieve that by complex process of welding. 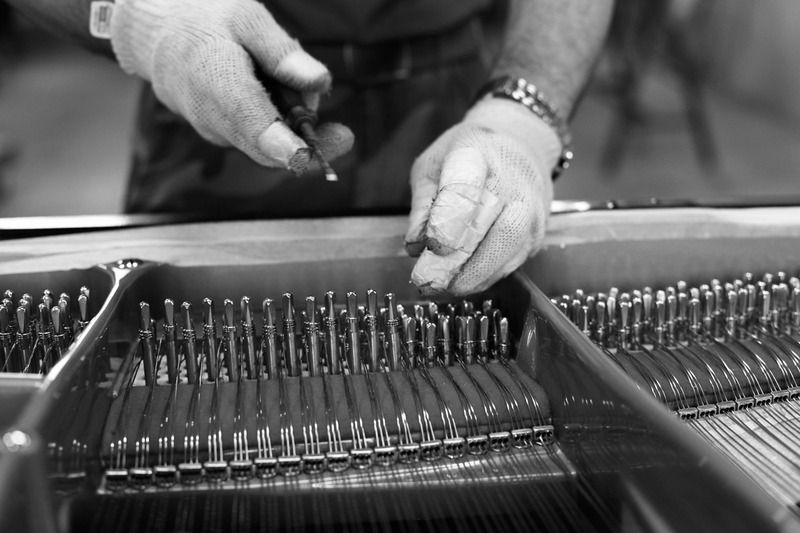 Replacing tuning pins is inseparable part of successful restringing. 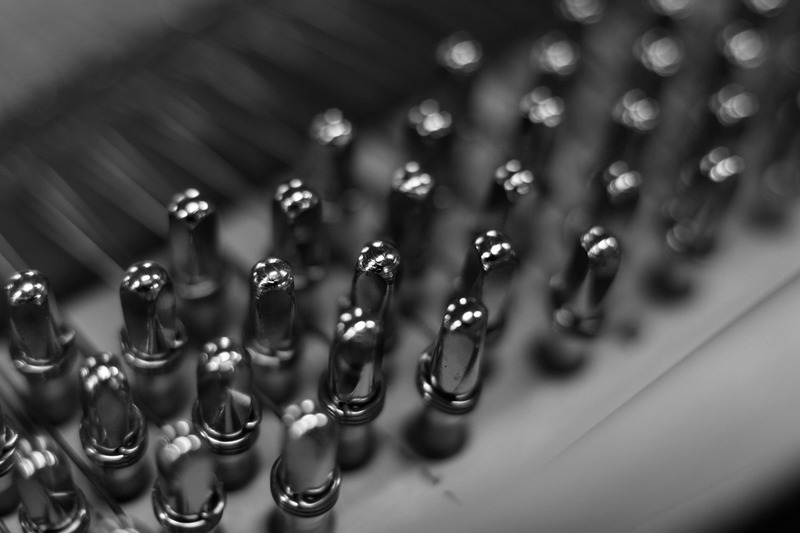 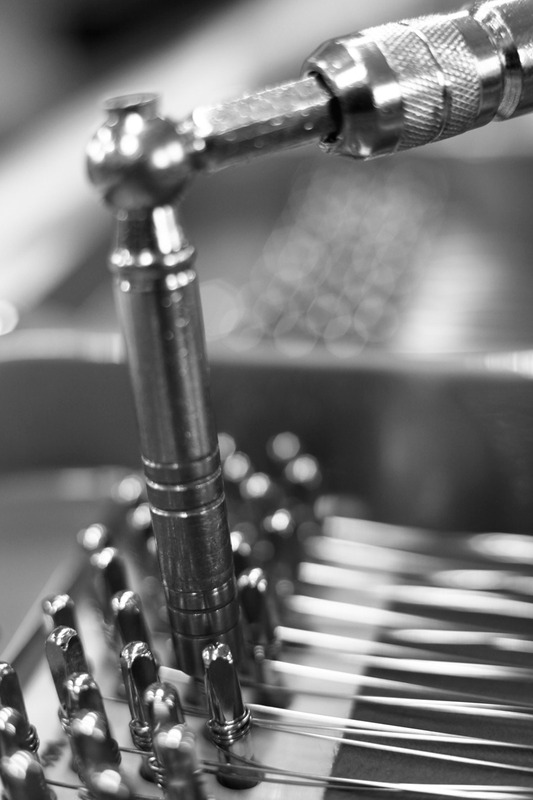 Based on piano’s age and brand, we can supply nickel or blue tuning pins. 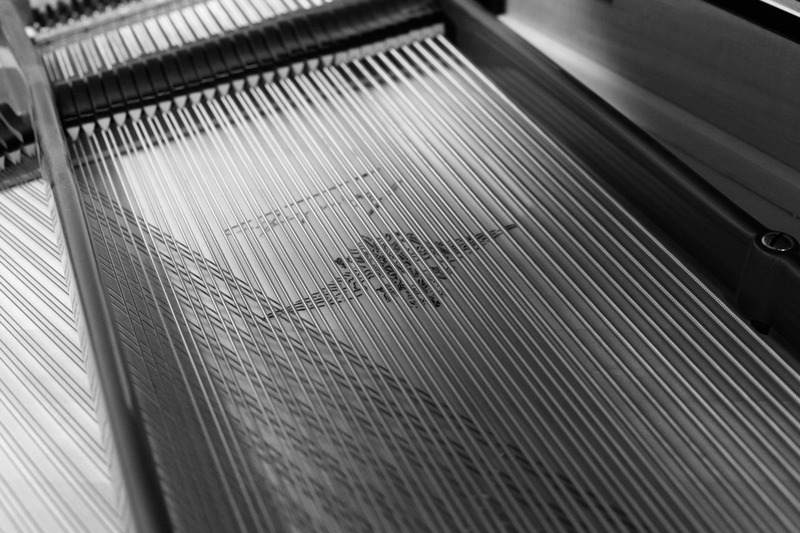 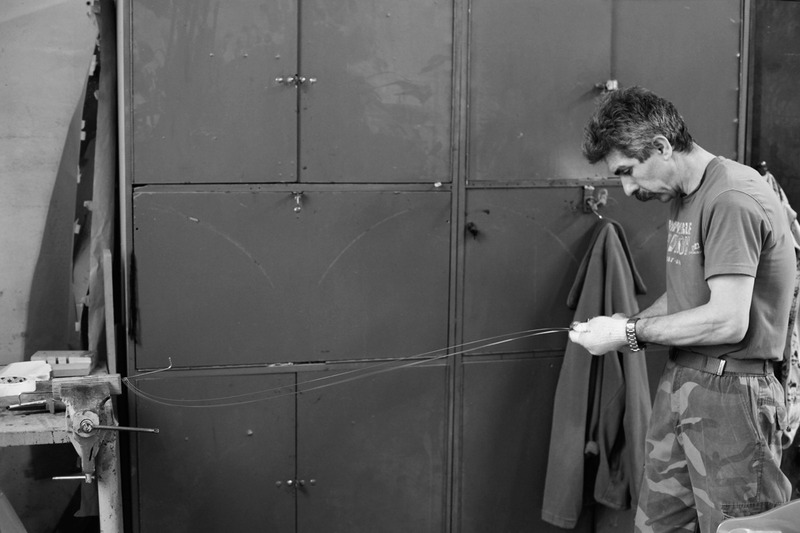 High quality strings and their professional installation reflect on the quality and strength of sound. 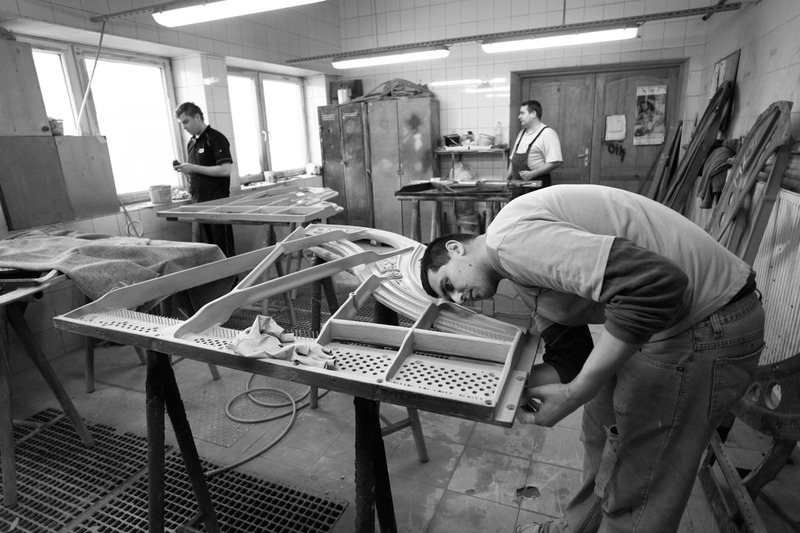 SAP Renovation uses only strings of renowned German and French manufacturers. 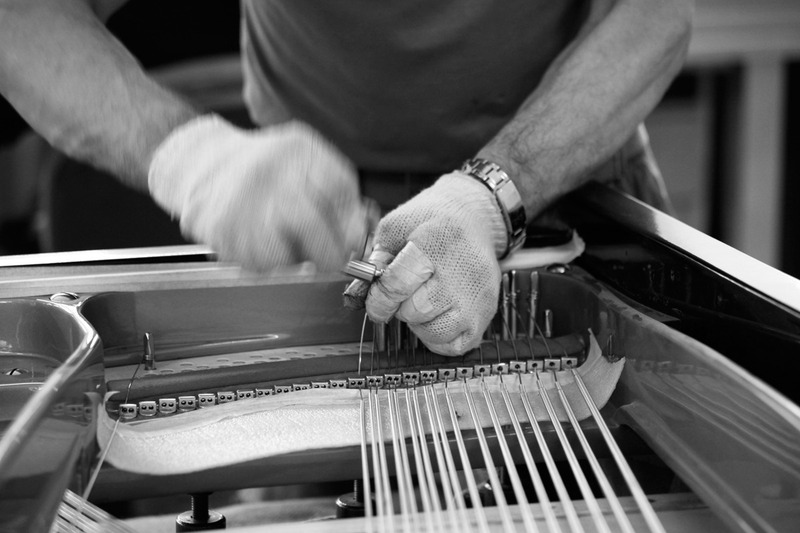 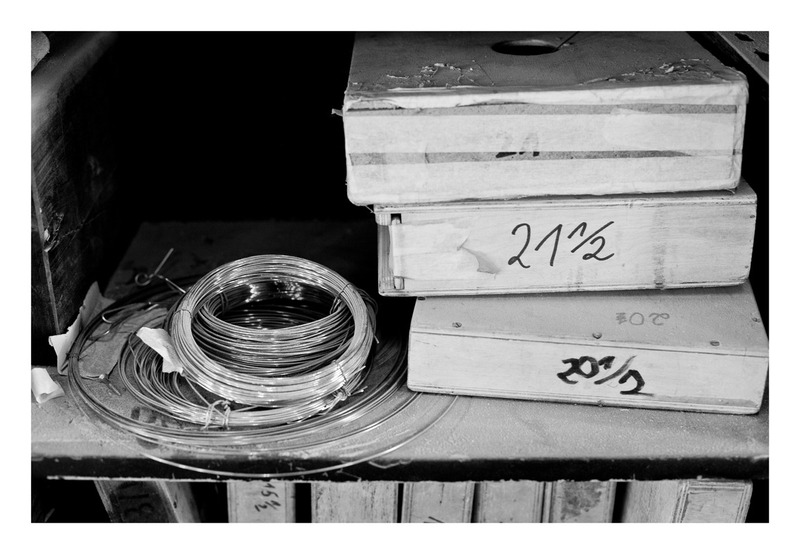 Relatively young and well-maintained bass strings not affected by aging or rusting process may be successfully reused while restringing the piano. 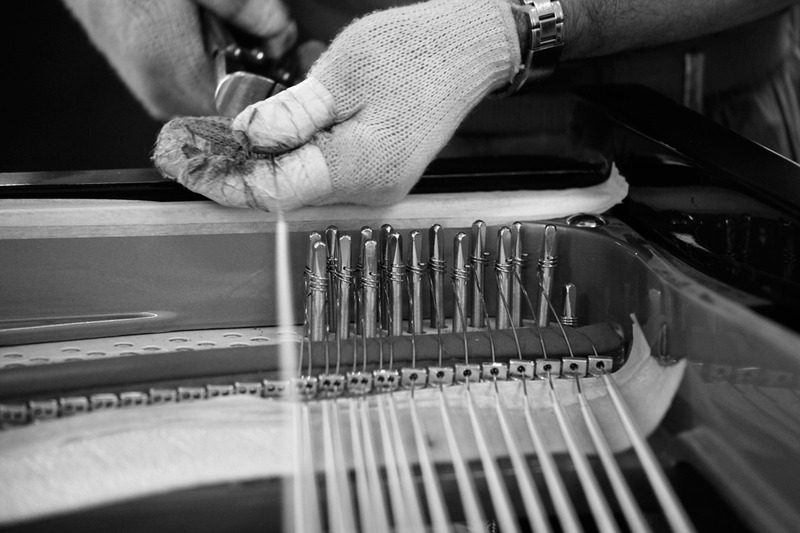 Any signs of rust and wear on your strings negatively alter the sound quality and they should be replaced with a brand new set of bass and steel strings.